Our goal is to work in partnership with you ensuring the best possible alignment of remuneration and reward systems to your business strategy, whether that means developing new strategies and systems, or reviewing existing ones. 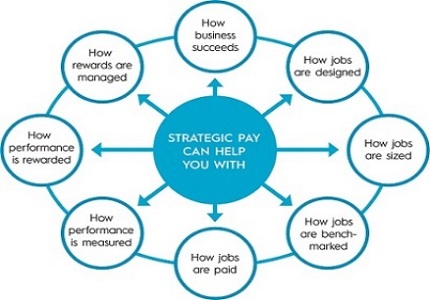 Strategic Pay provides innovative solutions to organisations for their strategic remuneration, performance development and performance improvement needs. We have developed systems and approaches that suit the needs of the New Zealand market and cater for every business, irrespective of size or sector, profit-driven or not for profit. Whether your focus is on internal equity, market relativity or performance improvement, we have a range of solutions to meet your needs. Our experienced senior consultants provide a range of solutions to fit your unique situation when it comes to Executive Remuneration and Reward, including Base Pay advice, Short, Medium and Long Term Incentive Plans, Directors’ Fees and Performance Management. The cornerstone to a successful human resources strategy is ensuring your reward strategy is closely linked to wider HR and business objectives. We assist you with the development of a remuneration and reward strategy that suits your business; understands your talent retention issues and ensures all stakeholders have bought into the value proposition. We provide some key frameworks and tools to make this easier. A key element of HR administration, job descriptions enable the right job content to be assessed for relative size, both internally and for external market comparisons as well as providing the foundation for your performance management system. A real strength in our offering: we have a number of different approaches when it comes to assessing the relative internal size of jobs in your organisation and providing a defensible base when it comes to reviewing market pay. Our remuneration database and remuneration survey report suite is the largest in New Zealand, enabling you to benchmark your roles by size/band/function/benchmark job match with confidence and ease. In addition, our technology based tools make this really easy to tap into. Know that your remuneration policy and systems align with your reward strategy and you have the framework to ensure you attract and retain the right people. Simply put, pay equity is “the same pay for different work of equal value”. However, the issue is much broader than that, pay inequity is a systemic challenge. Strategic Pay has developed proprietary tools and has the depth of information and expertise to assist organisations to explore and address equity in the workplace. We can assist with aligning job descriptions with performance planning, overall performance management system design, documentation and employee communication, 360 degree feedback and management and appraisal coaching and facilitation . Whether its linking base pay to performance outcomes and implementing Incentive Schemes, we have the expertise to assist. This area of our offering includes advice on process, communication, budgeting and costing tools, and training. In addition our RemWise salary management tool is the best system to store employee and job information, facilitate your salary review and model various salary increase and budget options.